The Porsche 914 is the classic case of yet another fantastic chassis let down by the detestable Volkswagen type-something-or-other flat-4 engine. 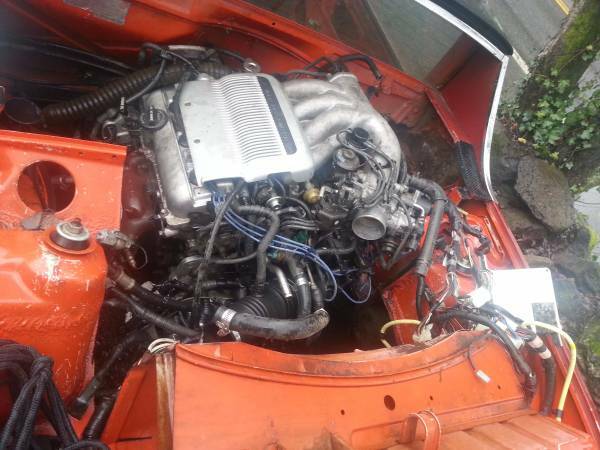 Sure, Dubheads will claim but this one has a Porsche head gasket, and the only thing that is from Volkswagen is every single other part...but anyone who has driven a stock one is going to be left thinking..I wonder if that V6 from my wife's Lexus will fit? Yup. It does. 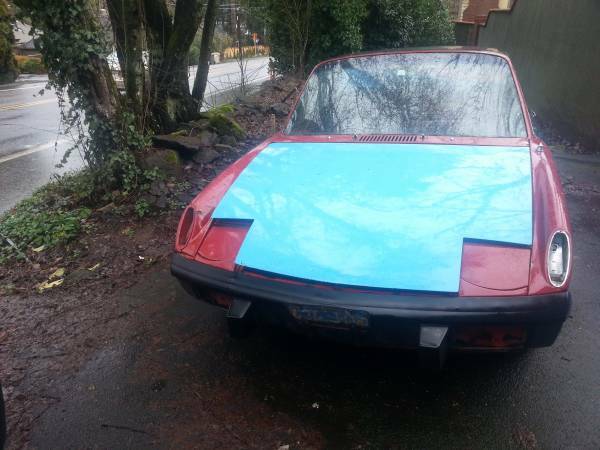 Find this 1972 Porsche 914 with Lexus V6 offered for $1,700 in Lake Oswego, OR via craigslist. HT to Mitch in the LeMons Racer Lounge facebook group. Oooooh...here is the good stuff, a Lexus V6 from the 1990s according to the seller that is rated at 225 horsepower...but the seller leaves us guessing the make/model of donor vehicle. The problem is that most Lexus/Toyota V6s from the 1990s made less than 200 horsepower, with the exception of th 1MZ-FE which pumped out 210 horsepower when equipped with VVT-i. The 3MZ-FE pushed out 225 horsepower, but it wasn't sold until 2003 and looks more modern than this thing -- so perhaps someone from the peanut gallery can un-confuse my easily confused brain. 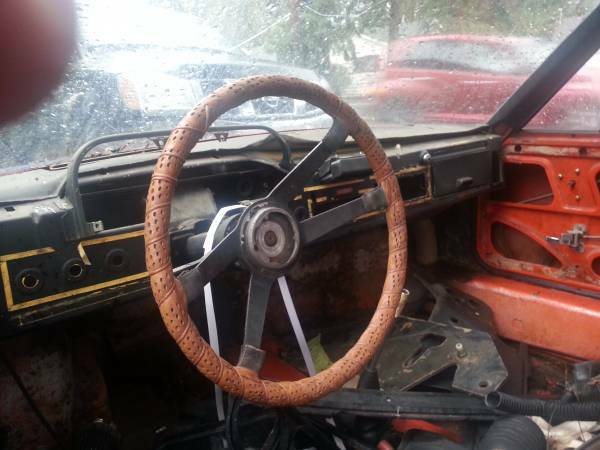 This looks like a disaster from every possible angle other than "parts car". No title, doesn't even remotely run. I'll start the bidding at 5. Should be on BOTCHED TV ! I see a hell of a Lemons car there at the right price, and with the right amount (like massive) of effort, assuming you can make everything work. As a road car...no way. In California, if it's still in the system the back registration fees will cost you a bundle.